Born in Ballina in 1949, Michael moved to England as a young man looking for work. 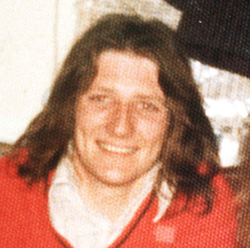 There he joined the IRA and was a committed, active Volunteer. 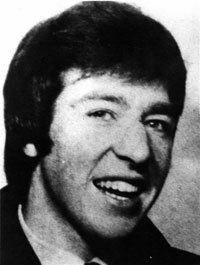 Given a sentence of seven years for an armed raid on a London bank in 1971, Michael and his republican comrades in England were denied the political status which had been won for republican prisoners in the Six Counties. Sisters Dolours (d. 2013) and Marion Price, along with Hugh Feeney and Gerry Kelly (now a Sinn Féin member of the Assembly), began hunger strikes for political status and repatriation to Ireland. After being joined by Michael, fellow Mayo man Frank Stagg and Paul Holmes on 31st March 1974, the prisoners were moved to Parkhurst Prison where they were brutally force-fed. On the evening of 2nd June, Michael was force-fed for the last time. He died on 3rd June from pneumonia which had set in after a force-feeding tube punctured his lung. He was 24 years old. His death was instrumental in the abandonment of this type of force-feeding by the British authorities. Michael’s funeral cortege was the largest Irish republican funeral seen in England since 30,000 filed past the coffin of Cork Mayor Terence MacSwiney in London’s Southwark Cathedral in 1920.